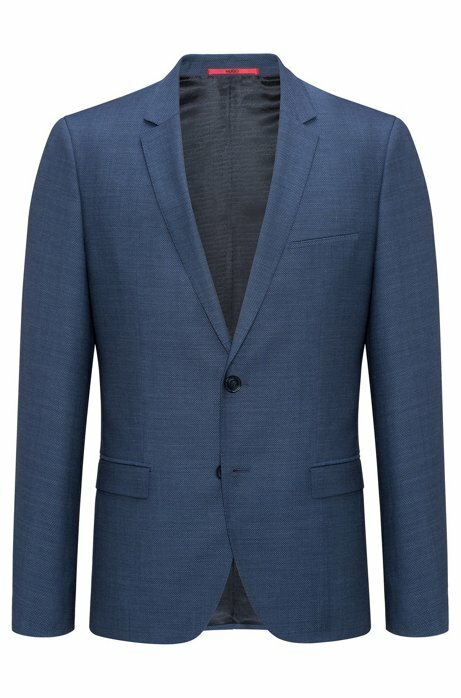 This narrow-cut Hugo (Hugo Boss) blue sport coat with a narrow cut/slim fit is capable of navigating business casual and leisure days. A full lining gives it just enough structure while holding a smooth drape and natural shape. 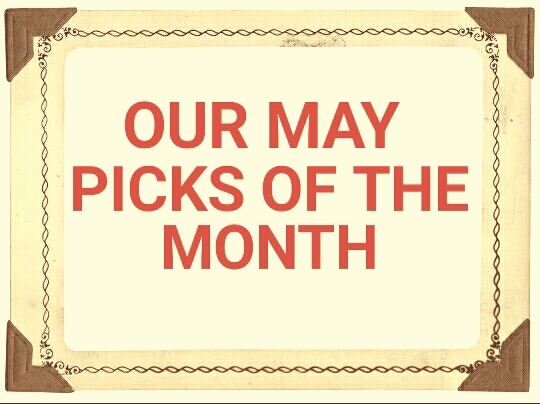 Wear it with our featured shirt or with a T-shirt. 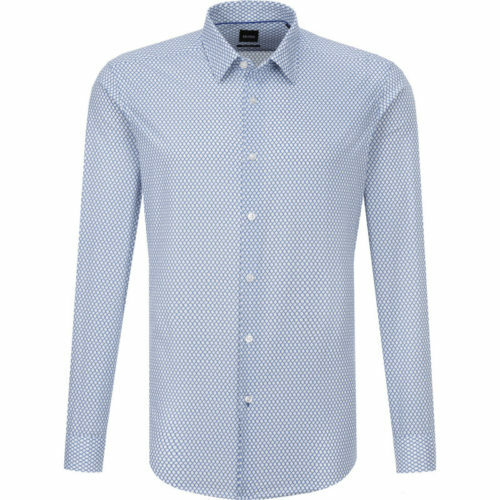 This Boss shirt has an intricate chain link design for a stunning profile. Sturdy construction with a soft feel, it is perfect for leisure days as well as for professional outfits with a laid-back touch. Shaping darts ensure a tailored, comfortable fit. Long sleeves. 100% cotton poplin. Machine wash. Import. These Alexander Work fit denim jeans, in a fashionable mercury color with a signature red chainstitch hem, are incredibly comfortable with a great recovery. Built for an athletic frame or a more relaxed style, the Alexander Work has extra room in the seat and thigh and a straight leg. 15.5" leg opening, 11" front rise, 34" inseam. Zipper fly. Brass buttons and rivets. Half lined back pockets. Hand signed on front pockets. 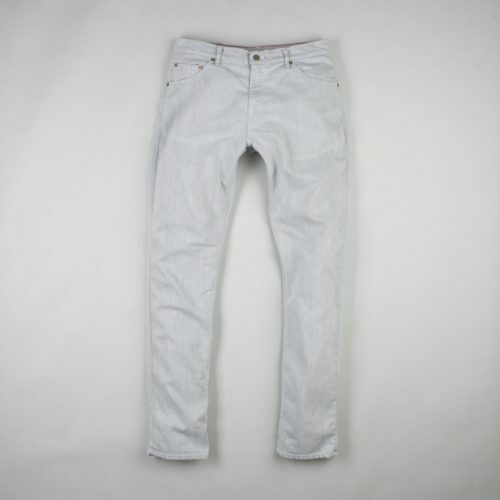 78% cotton/22% elastane. Machine wash cold, tumble dry low. Made in the USA. 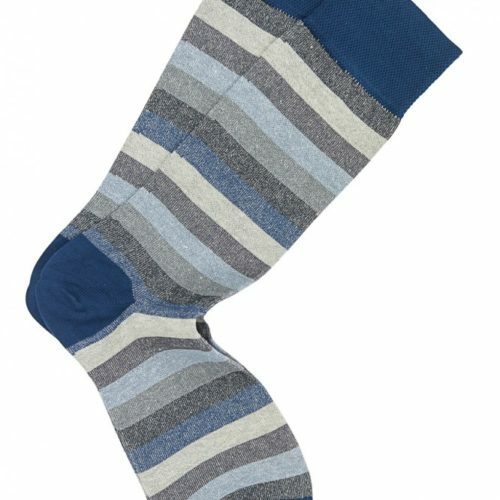 This bright blue and stripy pair has fitted cuffs that have been engineered under controlled tension to ensure they're tight but don't pinch. These modern socks are made of a cotton and linen blend. One size fits most. This updated, tan colored, classic derby has a slightly rounder toe for a more generous fit. 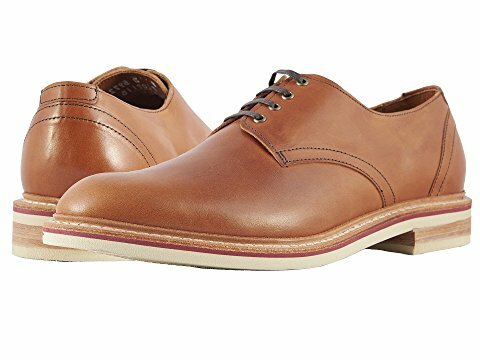 The leather-lined derby features lightweight construction with a stylish, colorful EVA lightweight midsole, white lightweight outsole and leather heel base. Extended sizes available for special order. Made on a real goat farm in Houston. 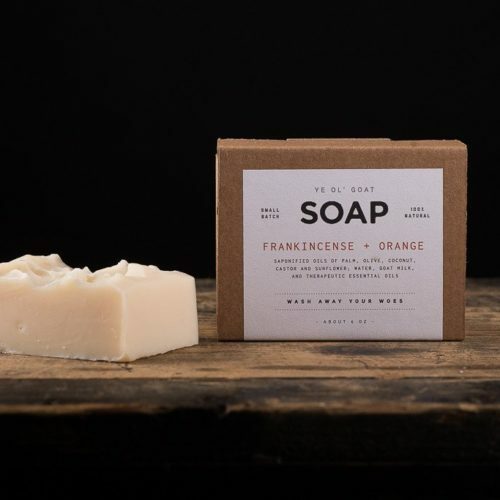 Packed full of all natural skin nourishing ingredients. Leaves your skin clean and soft. A lemon and verbena scent perfect for warm weather!